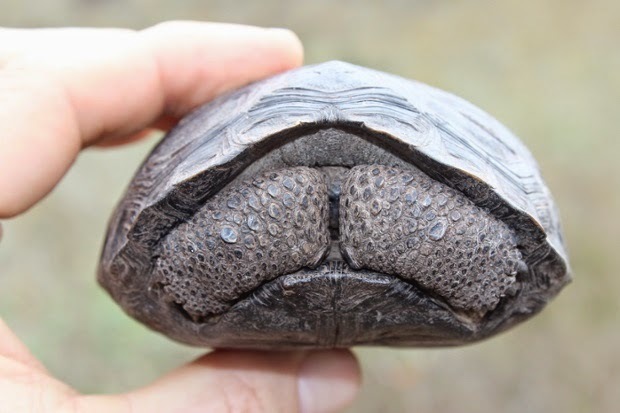 In fact, scientists had concluded that no tortoises have hatched on Pinzon for more than 150 years! In an effort to restore the Pinzon tortoise, in 2012 the Galapagos Conservancy had helicopters cover the island with poison that would impact only the rats. And, now there is proof that it has worked. There is ample evidence that the rat population has been eradicated for good. And what is that evidence? It's 10, tiny newly hatched saddleback tortoises! And not only that, because of the difficultly finding these tiny hatchlings (they are camouflaged by and hidden under loose lumps of lava) there are probably many more. 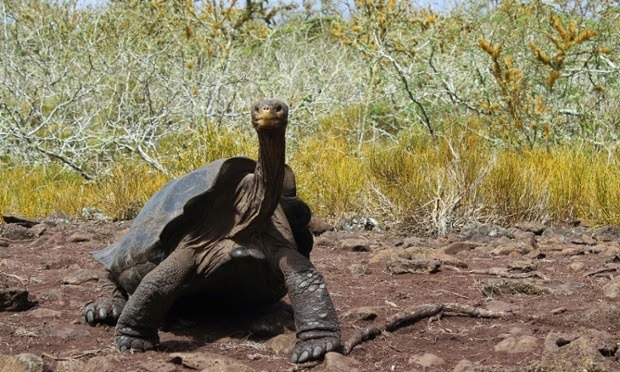 In fact, in the account of their findings in Nature magazine, scientists say, "By the end of our trip, the team had encountered over 300 tortoises, resulting in an overall population estimate of well over 500, nearly tripling of the population from the 100-200 very old individuals encountered on Pinzon when the Galapagos National Park was established in 1959." Here's a little background on Pinzon Island, an island in the middle of the archipelago with no visitor sites. It was named for the brothers Pinzón, captains of the Pinta and Niña on Columbus' voyage to the New World. It is very isolated and because it is uninhabitable due to its rocks and spiny vegetation is also known as Devil's Island. It has a high elevation and is subject to the heavy mists that occur throughout Galapagos during the dry season here. 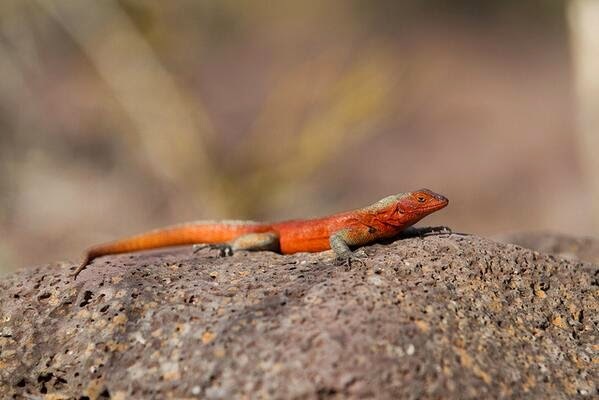 On Pinzon one might encounter Darwin finches, Galapagos Doves, Galapagos Hawks, snakes and specialized lava lizards, as well as the endemic Pinzon Island tortoise. You can read more about Pinzon Island, conservation efforts and surrounding sites by visiting the Galapagos Conservancy site at http://www.galapagos.org/about_galapagos/pinzon/.